High quality music from an ex-member of Alice Soft! Recommended to game makers. RPG-style music. 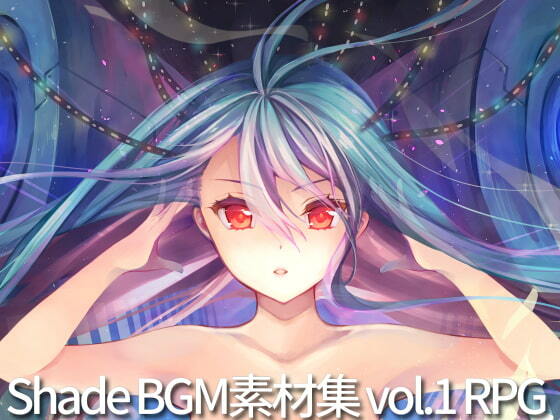 Don't steal, don't torrent, don't resell as your own BGM materials sets. Royalty free. For commercial or personal use. I actually bought this album when it had less tracks and was pricier (and to be fair, it was to help fund this circle's game, Shimai Kanojo). I'd recommend purchasing this with an account in case another update happens again. But on to the actual music - there are seven unique tracks, two basic "victory" and "defeat" chimes, and seven tracks that are variations of the original three tracks on this album (the map theme, the battle music, and the first event music). The battle music is as high-quality as you'd expect if you're familiar with Shade's other works, and the other tracks are definitely good listening as well. In general, the album is suited to fantasy RPGs, but there is one track there that might be good to use in a more modern/sci-fi setting. Overall, I'd say that if you aren't intimidated by the price, you should buy if you want really memorable music in your project, want to support Shade, or both. Scheduled release Sep. 22, * Release schedule subject to change.